26 – 27 May 2016. Ise-Shima, Japan. 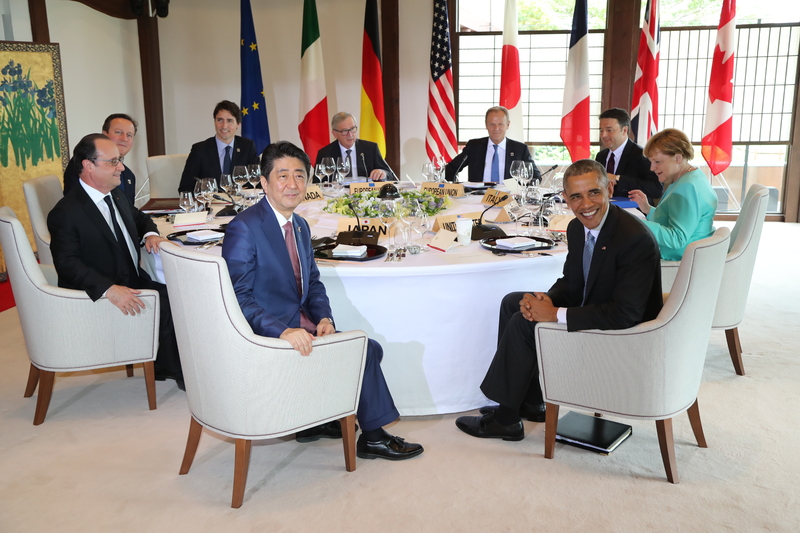 Meeting of the G7 Ministers and high representatives, and the European Commissioner responsible for the environment. This meeting follows 2015 global commitments including the 2030 Agenda for Sustainable Development, the Paris Agreement on Climate Change and the Sendai Framework for Disaster Risk Reduction and the Addis Ababa Action Agenda. The meeting covered seven themes: the 2030 Agenda, Resource Efficiency, Biodiversity, Climate Change, Chemicals Management, the Role of Cities and Marine litter. ensuring sustainability and resilience within agriculture and food systems. The G7 will seek further synergies with the G20 and its efforts on food security and nutrition, as well as collaboration with regional efforts and fora such as the Comprehensive Africa Agriculture Development Programme (CAADP), taking into consideration each region’s specific context and challenges and adjusting approaches where necessary, including by utilizing such opportunities as the Sixth Tokyo International Conference on African Development (TICAD VI: 27 to 28 August 2016 in Nairobi, Kenya). Recalling the Addis Ababa Action Agenda, the G7 emphasizes the critical importance of mobilizing multiple streams of financing to achieve the 2030 Agenda. The G7 will work with relevant stakeholders to more effectively and sustainably mobilize resources for food security, complementing a similar exercise by the SUN Movement for nutrition. The G7 welcomes further efforts in leveraging private investments such as that demonstrated in the Global Agriculture and Food Security Program (GAFSP). The G7 will raise awareness on the issues that this V4A puts forward, and promote aligned actions and coherence in implementation, among all stakeholders including developing country partners, other donors, including through the Global Donor Platform for Rural Development (GDPRD), international and regional organizations, multilateral development banks, researchers and academics, and philanthropic organizations. The G7 will foster continued collaboration with the private sector and civil society, including through the New Alliance for Food Security and Nutrition. The G7 will seek opportunities to engage in multi-stakeholder dialogue, making full use of relevant fora and platforms on food security and nutrition, particularly the CFS. 4th of August 2016. The Second High Level Summit on Nutrition will be held in Rio de Janeiro, Brazil. It is the biggest global event between now and 2020 to address the devastating burden of undernutrition.